Upbiz is a professional, creative and complete one page corporate / business template designed for all types of corporate organizations, corporate agencies, businesses, corporate brands, companies. It can also be used for individual professionals like lawyers, consultants, financial advisers and more. Upbiz Comes with 19 pages including one main demo page with multiple sections, 06 blog pages, 12 section pages including coming soon page. contact, 404 page, pricing table, services etc. 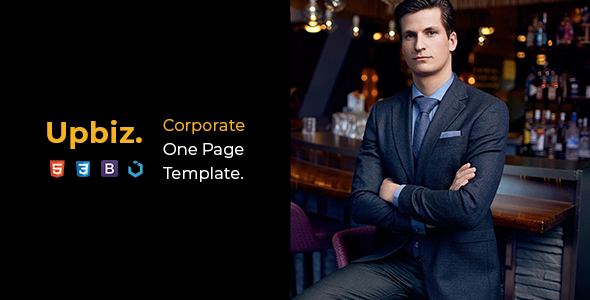 Grab a copy of this professional looking corporate template for your business. Note: Images used in this item are only for preview purposes and are not included in the main download file.